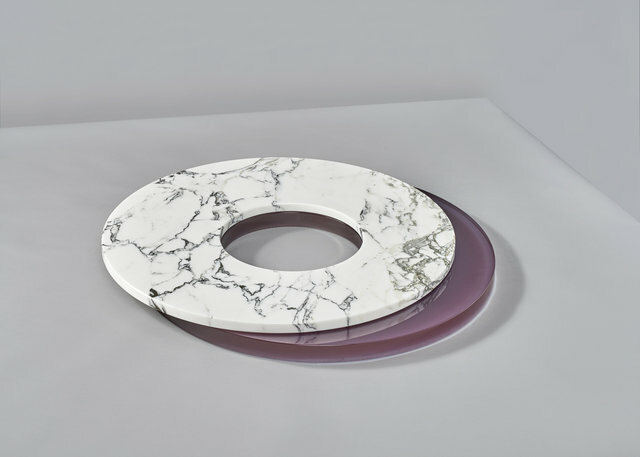 Etage Projects is delighted to present ‘Progetto Palazzo’, a group exhibition featuring new works from the gallery’s core roster of designers, produced while in residency at the Palazzo Monti in Brescia, Italy. 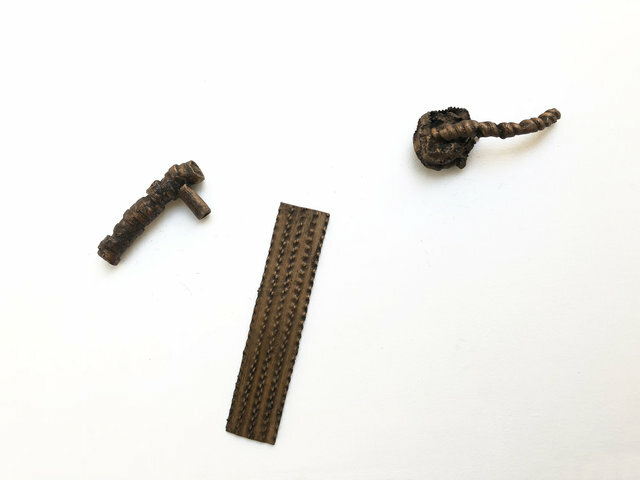 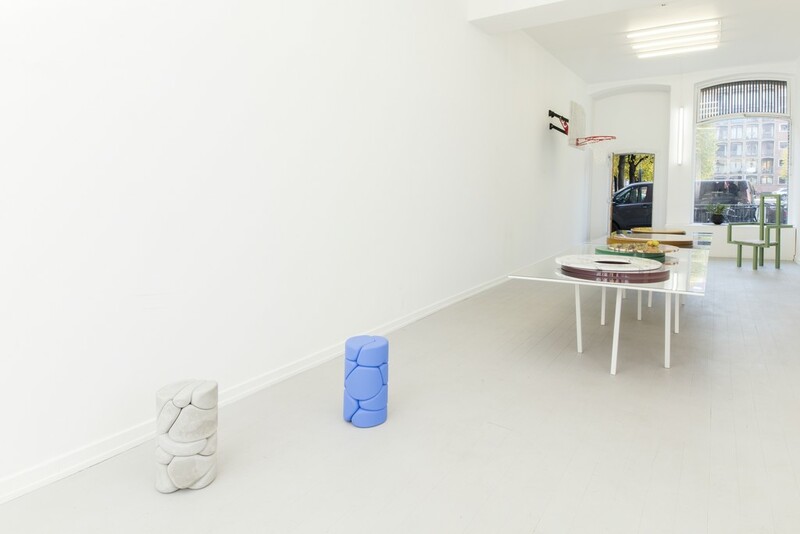 In the summer of 2018, Etage Projects invited seven contemporary design practices to participate in a residency program at Palazzo Monti, fostering exchange and community among these diverse practitioners connected through the gallery. 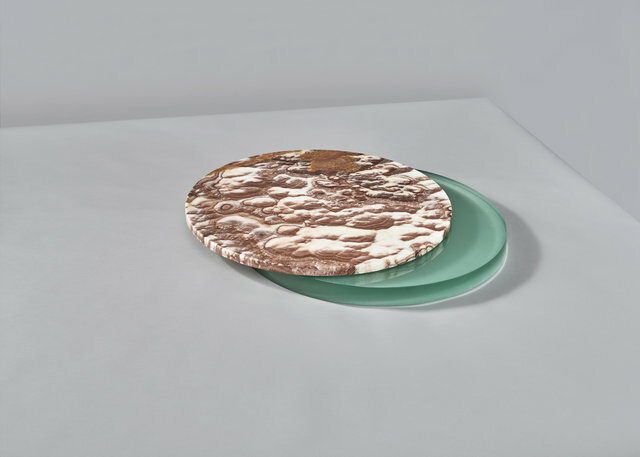 A central inspiration was the large Italian dinners artists enjoyed together. 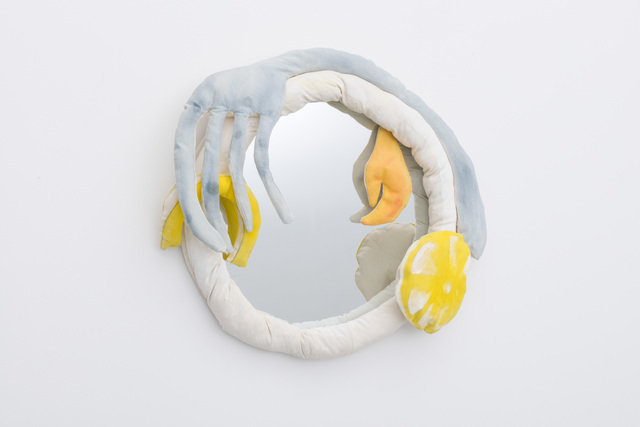 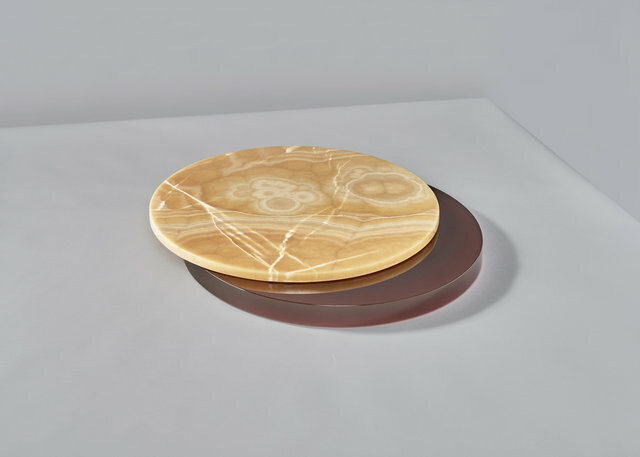 Among the projects are Sabine Marcelis and Paul Cournet’s ‘Lazy Susan’s, conceived in marble and resin, and Superpoly’s mirror, both as an afterthought of these participative dinners. 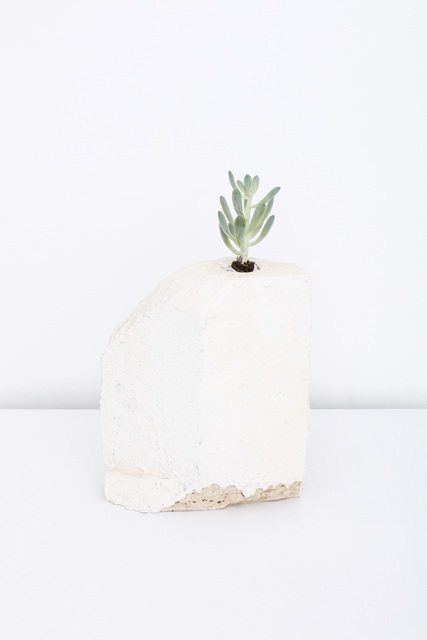 While in residence, each designer developed a new project and was matched with local artisans to realize it as an object, drawing on the natural resources as well as the rich tradition of craftsmanship of the region. 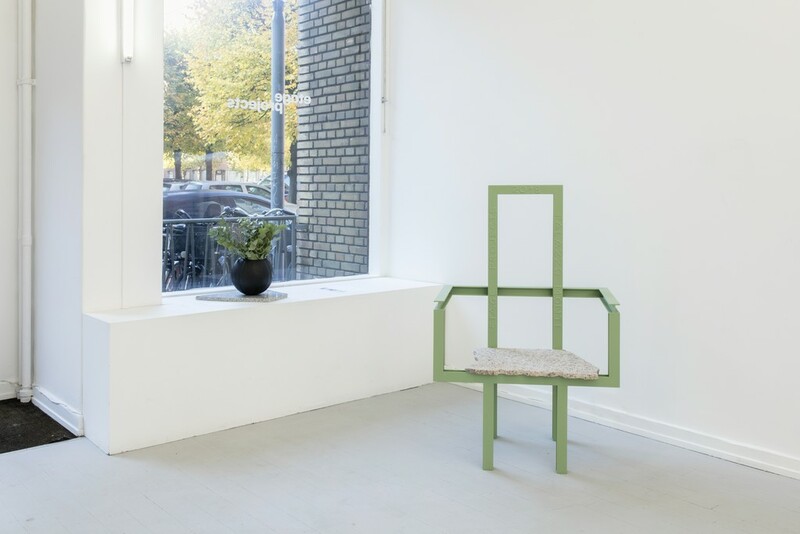 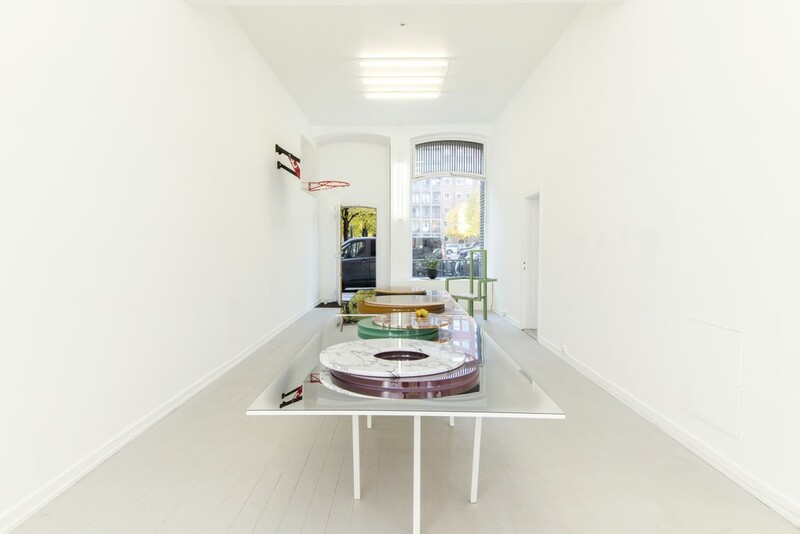 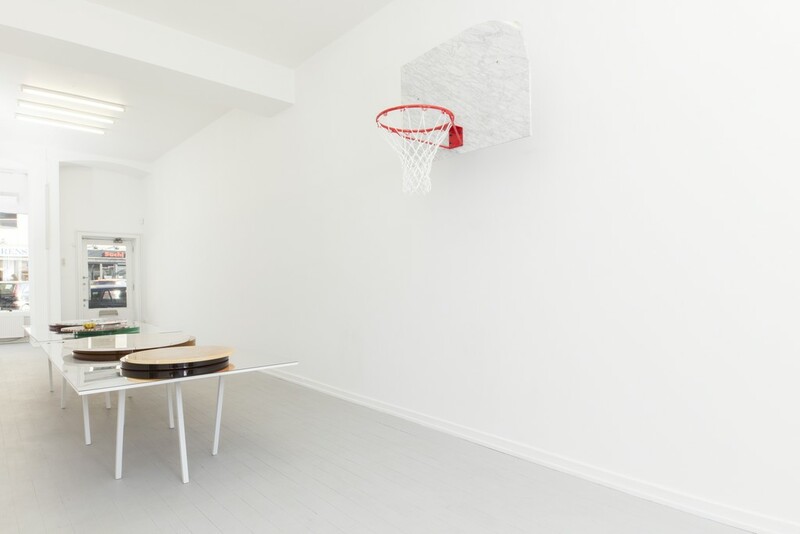 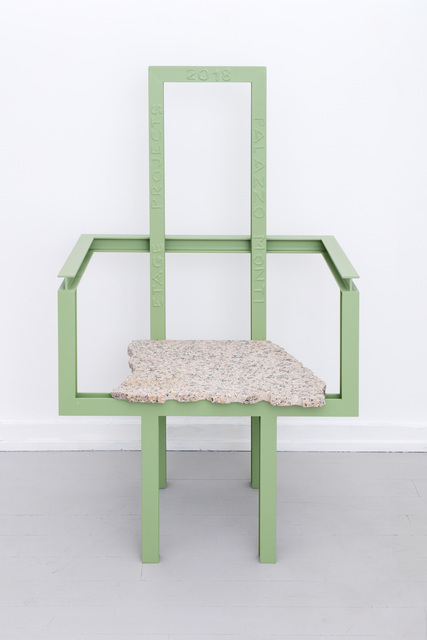 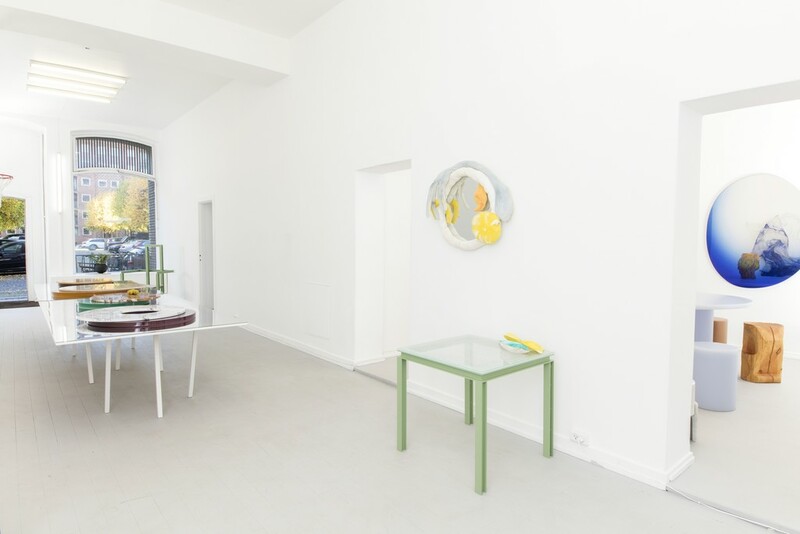 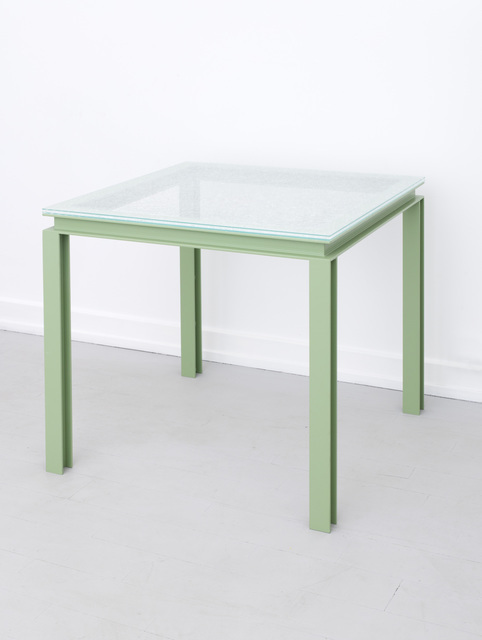 Both Guillermo Santomá and Fredrik Paulsen have made use of local marble in their objects: Santomá with a marble basketball backboard, accompanied by a basketball signed by the retired NBA superstar Dennis “The Worm” Rodman, and Paulsen through a chair with a marble seat, paired with a mirror top table. 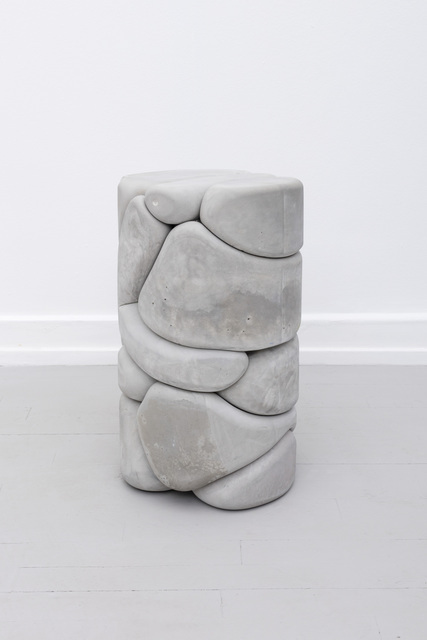 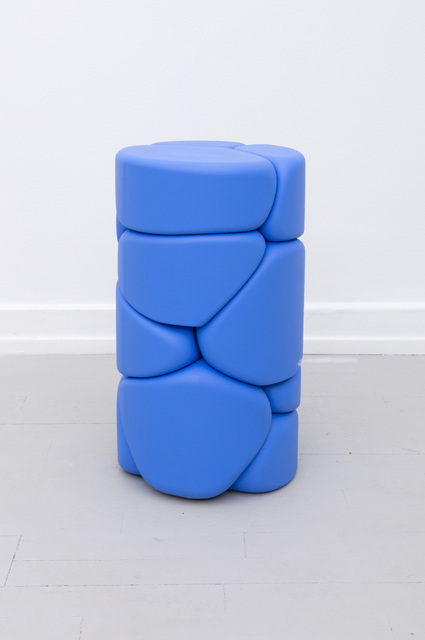 Soft Baroque will show two transgressive concrete columns, and Kueng Caputo joins with their flower pot plinth, striking with reflective floor paint. 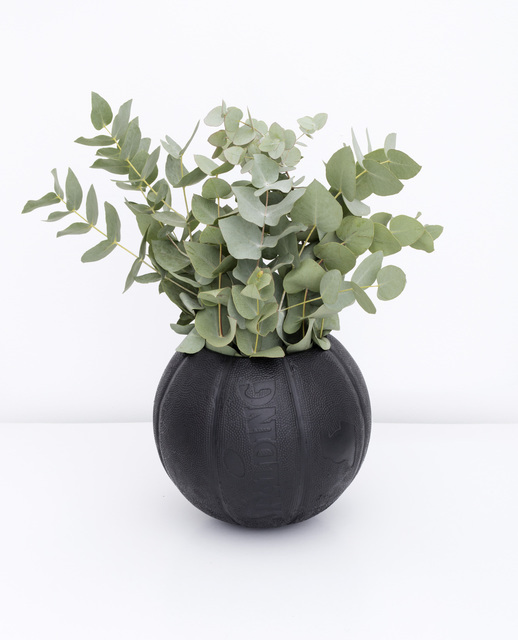 Ulrik Weck created a bronze cast vase, which is a reevaluation of his basketball vases. 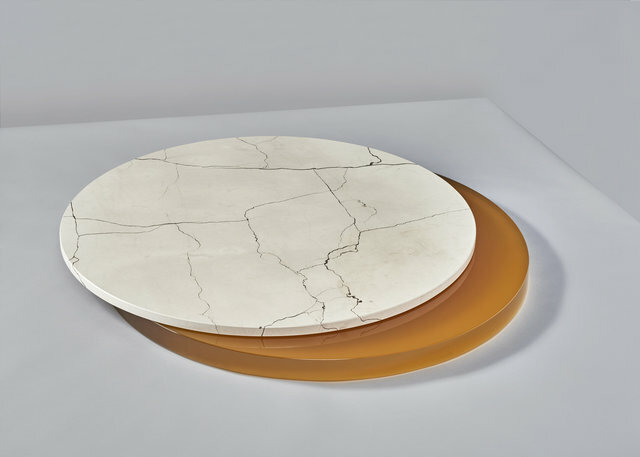 Across the full range of projects, one recognizes a critical curiosity for the history of local materials and analogue processes matched with an expansive and forward-thinking approach to utility, technology and aesthetics, a characteristic of expanded contemporary design.